If you were to ask my teenage self what I’d be working on as an adult, it’s unlikely she would have said that I’d be a Futurist, able to tell her about the future beyond 2018. 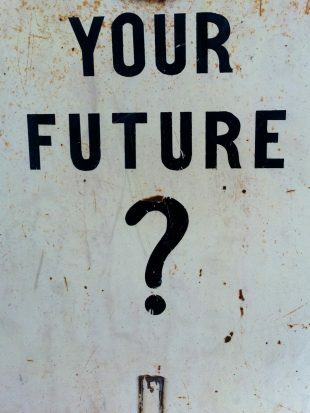 But whether it comes from the future or not, careers advice is invaluable to young people. Recently I took the chance to hold a school outreach event for young people deciding on career paths in Science, Technology, Engineering and Maths (STEM) and looking for role models. I was dispatched alongside colleagues with backgrounds or roles in STEM from the Department for Business, Energy and Industrial Strategy. Our aim: to promote STEM skills and careers to an all-girls sixth form in South London. This was also a great opportunity for the Government Office for Science (GOS) to promote the value of thinking about the future amongst young people. I aimed to show them something a little different in my ‘Back to the Futures’ session on GOS’ Futures and Foresight work. The students worked collaboratively to explore Futures for a real-life policy issue in the form of the Healthy Ageing Grand Challenge. Using evidence cards from our Scan of Scans work – a collection of almost 200 trends from a variety of different areas - the pupils explored the effects that trends might have on citizens in 2040. Example trends included heterogenous family structures and increasing pressure on transport systems. They came up with better and worse futures based on their selected trends and gained insight into how evidence-based policies can impact people. The pupils also engaged with our Emerging Technology scans, a set of evidence cards giving insight into over 80 significant emerging technologies and their potential applications. Groups gave their assessment of how close we are to realising technologies like smartdust and robots in the workplace, and the policy issues they raise, challenging each other to think differently. The sessions were met with enthusiasm and some tough lines of questioning before the pupils were engulfed by a cloud of liquid nitrogen by the National Physical Laboratory - who knows though, how many will later re-appear as government scientists or choose a career in Futures.